Learn How To Edit Videos Like A Professional with The Complete Adobe Premiere Pro CC Master Class! Have you always wanted to Create AMAZING videos, but you just don't know where to start? Or maybe you have started Making Videos, but you just don't know how to EDIT THEM! Then Our Complete Adobe Premiere Pro CC Master Class Course is for You! ⇉ This course is one of the Largest, Most Comprehensive Adobe Premiere Courses Ever Created on Udemy! ⇉ Join 400,000+ Students Who Have Enrolled in My Udemy Courses! ⇉ 10,000+ Five Star Reviews Show Students Who Enrolling Are Getting Real Results! ⇉ You Get Over 50+ Lectures and 7.5+ hours of HD content! ⇉ Watch the Promo Video to see how you can Get Started Today! Don’t Delay! Click the "Buy Now" Button For Instant Life-Time Access! In this all access Adobe Premiere Pro CC course you will not only learn the full ins and outs of this video editing software but also by the end of it, you will have advance knowledge on keyframe animation, color correction and color grading, speed manipulation/speed ramping, default transitions + creating them from scratch, advance use of effects + expert tips/tricks and also how to export videos for specific platforms such as YouTube, Instagram & Twitter. This course will start off with the very basics while we gradually work our way through to the most advance of video editing tactics available to you within Adobe Premiere Pro CC. Also included at the end of this course will be a 'Master Project' work-through where our instructor, after thoroughly teaching you everything he knows, will edit through a project of his own from beginning to end showing in detail how a real live Adobe Premiere Pro CC project can come to life in the hands of a professional video editor with over 5+ years of experience. By the end of our course you will be able to edit video like a professional using Adobe Premiere Pro CC. You will also be able to create advanced projects in Adobe Premiere Pro CC, montage edits, the most up to date transitions and effects, and so much more! Check out some of the recent reviews from our students! 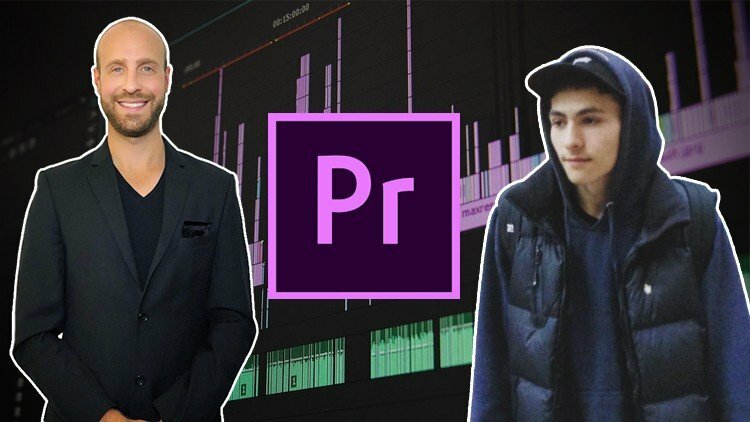 With the right mindset, understanding, and application, you will instantly begin learning how to edit using adobe premiere pro cc. When I learn something new I add it to the course - at no additional cost to you! This is a course that will continue to add more and more to every aspect of your life. What I can't do in this Course.. It's time to take action! This course will not remain this price forever! Click the "Buy Now" button, top right, Today!